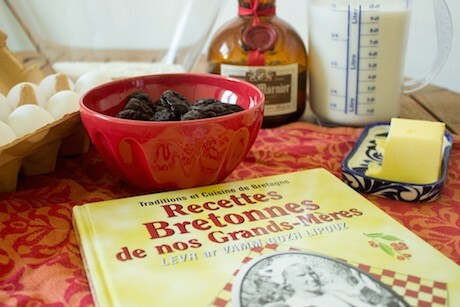 Baking a Far Breton is for me a flashback from my childhood. I still remember the smell penetrating the entire house of my grandmother. I needed only few seconds to guess what we will gone have for the afternoon tea! You know about Asterix and Obelix the famous comic book from René Goscinny and Albert Uderzo. 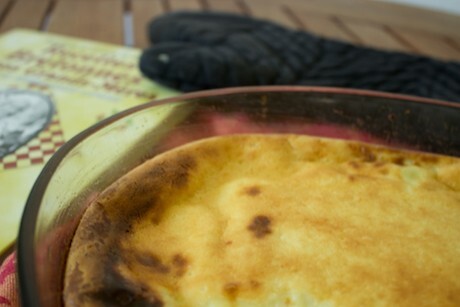 Like all legends, they are always built on trues stories like this French recipe. While it is a region of France like Ile de France or Alsace, Brittany is an autonomous world resistant to all invaders (including France) with its own culture, language (Breton) and traditions. Breton is viewed by the French government as a proper language and not as a dialect like many others languages in France. You can also find specific regulations, for example this is the only part in France where you do not pay the highway fees. My grandmother comes from Brittany and like numerous of her fellow Bretons during the rural exodus she immigrated to Paris in the 1950’s to have a better life. She began to learn French at school around 7 years old. Her native language is and remains Breton. Yet at the time they were even not allowed to speak a word of Breton during classes. This is how she is a Parisian but with her own culture and history. 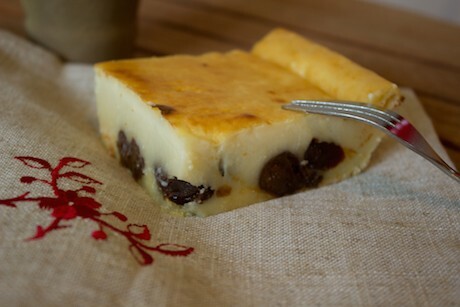 Along with its strong culture, Brittany offers a wide range of traditional dishes. My grandmother taught me numerous recipes like crepes, Farz gwiniz (semolina made with buckwheat flour), Youd Kerc’h (oats porridge) and of course the Farz forn (Far Breton). She could bake a regular sweet Farz Forn or she’d add apples or dried prunes depending on her mood. Born in 1932, she is still a Breton emissary handing down to her grandchildren the traditions of her culture beginning with her cooking. And when she speaks Breton with my grandfather, you know that’s because they don’t want you to understand a word of what they are saying! Marinate the dried prunes with the Grand Marnier. Preheat your oven at 200°C (400F). Mix the flour with the sugar. Add the eggs one by one and mix. 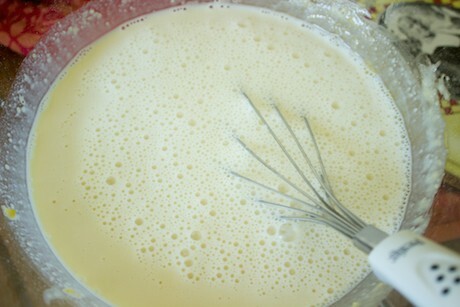 Then pour the milk little by little until your obtain a kind of pastry dough pancakes. 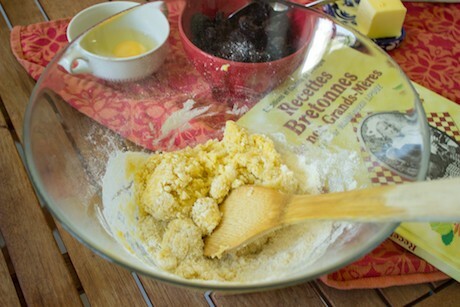 Grease the baking dish with the butter. Place the dried prune at the bottom of the dish. Pour the mix into the baking dish and place in your oven for about 50 minutes. Watch regularly after 35 minutes. Natacha Gajdoczki hails from Marseille and is the creator of the French Girl Cuisine Blog. If you are a foodie heading to Paris, why not download one of our gourmet walking tours or our package of foodie walks for the iPhone?